22-year-old Australian, Jake Parsons has joined the Aylezo Competizione team for the Liqui-Moly Bathurst 12 Hour over the weekend of February 3-5, where he will race in a Ginetta GT4 Supercup. The team – based out of Malaysia – will bring the successful GT4 car to Australia for Parsons – which he will share with team CEO Zen Lowe, WA-based Brit – Darren Burke and Japanese, Shino. 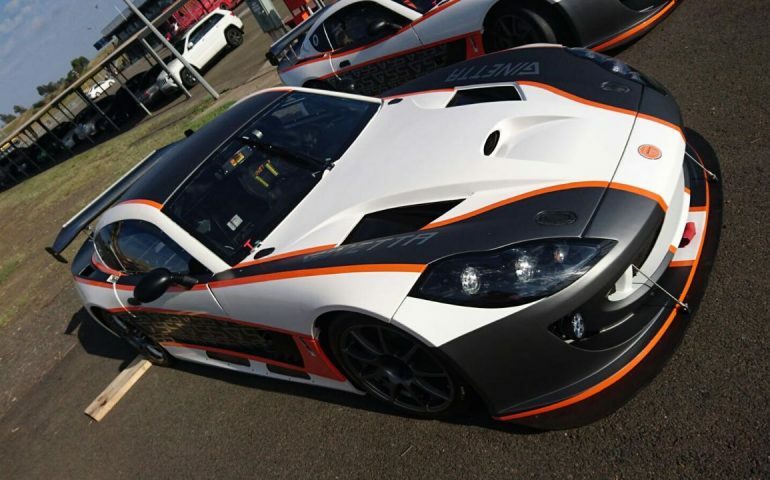 The Ginetta is one of two entered by RA Motorsports in the ever-growing GT4 class. “It is a wonderful opportunity being provided by Zen and the Aylezo Competizione team,” said Parsons. “The Ginetta GT4 has proved itself in these longer endurance races, but going to Bathurst is a new challenge for everyone. “It is going to be busy on track with the different classes delivering challenges right throughout the day. For us, keeping everything clean and remaining at the front of our class will be the aim – if we can walk away with the class win, that would be a phenomenal effort as well as elevating ourselves up the overall tree. Sydney-sider Parsons has recently returned from Indianapolis, where he was domiciled last year racing in the Pro Mazda Championship in the US, finishing with two podium positions. Parsons has history at the Mountain, establishing the lap record for Formula Ford there in 2015, which still stands to this day. He won the Asia Cup Series (formerly Formula BMW) in 2014 and finished runner up in the Formula Masters China Series. His grounding ahead of the Bathurst 12 Hour was aided at the end of last year when he took part in a Lamborghini Supertrofeo race in Asia. Jake will be in the GT4 category Class C, with the overall event amassing arguably the strongest GT field ever seen throughout the world among the entries in this year’s event. The drive with the Sepang 12 Hour-winning Aylezo Competitizione team provides the youngster with the best possible platform for a class win before embarking on his 2017 season, his full season plans to be announced shortly. The 355 horsepower, 3.7L V6 Ginetta enters class C for GT4 machinery in with a great chance up against entries from Porsche, Aston Martin and the intriguing KTM X-BOW. Ginetta – an historic British brand – has tasted class victory before at the Sepang 12 Hour and 24 Hour races at the Nurburgring and Dubai, along with the Gulf 12 Hour and European GT4 Championship. “I can’t describe my excitement to finally be able to compete in the prestigious Bathurst 12 Hours this year, and it makes it even better that my maiden appearance will be with one of the most renowned British heritage brands, Ginetta,” said Zen Low, CEO Aylezo Competizione. “Having grabbed my Sepang 12 Hours win just last month in their G55 GT4 racecar, Ginetta is a brand that’s synonymous with reliability and will keep on running when the going gets tough, making the G55 GT4 the perfect machine for this challenging endurance race.